Android Failed to Detect External SD Card- How to Fix? Android Failed to Detect External SD Card - How to Fix? Considering that all of us have a smartphone at our disposal, we are quite aware of the technical specifications and accessories that come along with. Now speaking of accessories, there are a few ones that are an absolute must such as the charger, earphones, USB cable and SD card. Now the last one in the block is quite possibly an item that you cannot do without. The phone itself surely gives some memory to start off with but when it comes to the bigger picture and using the phone to its prime utility then without the SD card you almost cannot make the device function. Movies, music, pictures, videos, important files and additional data space that several applications take and other elements present in the phone all need the presence of a SD card that will provide the necessary storage and solution that is required for the phone to function and keep up with the applications that are being installed and updated daily. 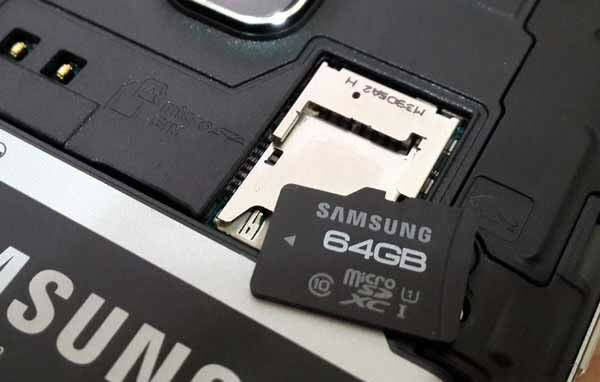 Now it often might happen that the android device fails to recognise the SD card and you are faced with the impeding problem of not being able to make it work. For emmergent case like recovering data from SD card, this problem is fatal.Now there can be several reasons for the detection failure and you need to know the end number of available causes for it. The moment you know the reason, the solution gets easier and you can take relevant steps with regards to it. Here are several reasons as to why the SD card cannot be read and detected by your android device. Ensure that you go through the listed probable situations and understand the exact problem that you are facing before taking it out to the service centre and spending several bucks on it. Check out all the issues and the make your call. Preserving the card is hardly taken into focus and hence the first thing that you should do is clean up the card to make sure that there are no prominent dust particles. Since the SD card is containing data, some of the files may be corrupted and virus laden. Therefore either download files from secured links or get the virus removed with an anti-virus software and format it to be a 100% sure. You can lose your files but it is better than corrupting your android device and lose both of it together. Sometimes due to too much of handling, the card may get broken considering that it is a relatively fragile accessory. Insert it in your computer and check it out. If it is broken then you might have to consider getting a new one. Battery issues are most frequent. If you do not have an original android device battery then this might be the issue considering that a stable power supply is needed for the SD card to work out. Therefore you might have to change your battery supply before inserting the card again. Formatting the SD card is necessary so that it is compatible with the phone. Hence make sure that the card is secured enough for the phone to detect. There are several such possibilities that may occur and you need to know which of the exact situations you are facing. Sometime a simple switch off and on of the android device can fix the problem. Hence be aware of all the situations and then move forward with the solution. Note: To avoid your data loss, you should take care of your external SD card and regularly back up your Android phone to computer.